Our friend and client gave us full and complete creative freedom with this table. The only stipulation was that she wanted a desk that she could use as a regular table if she chose to do so in the future. She also told us her favorite color was red. The result is our Canadiana table - celebrating our Canadian roots. 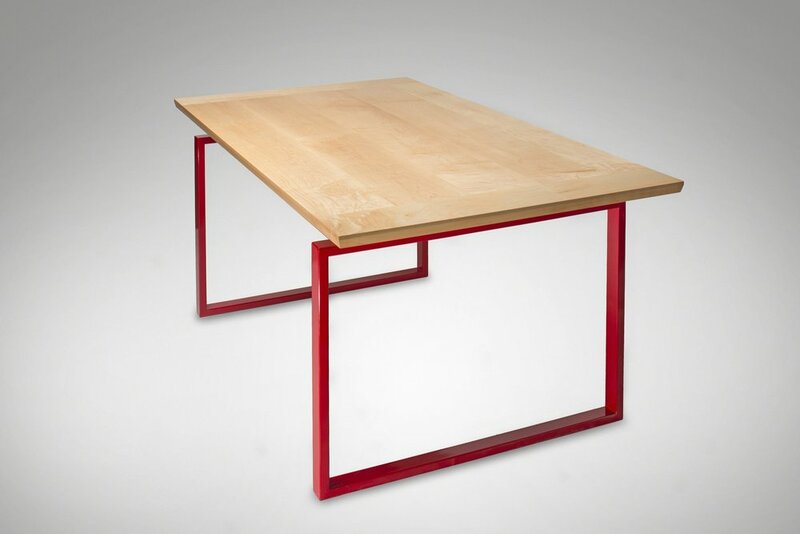 Solid maple table top and tig welded rectangular tube steel legs powder coated bright red. More pics to come - We designed and fabricated this pair of barn doors to match the custom desk we made for the same room. 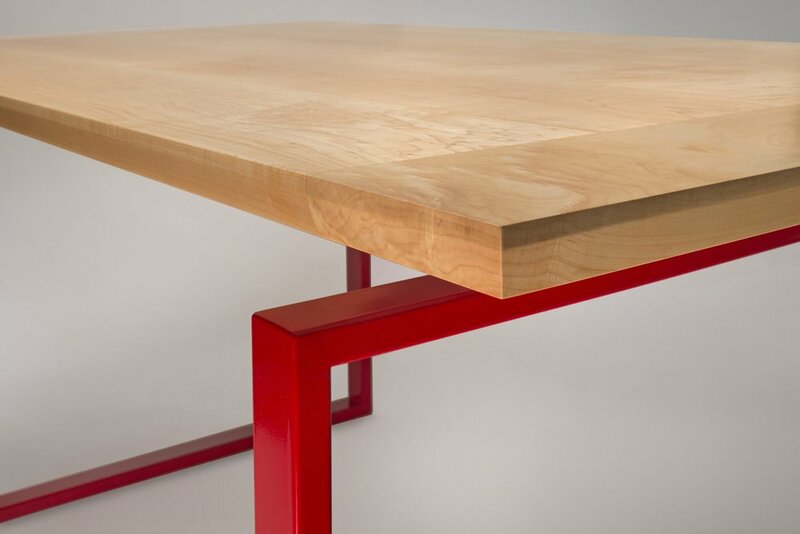 The doors feature a heavily figured maple herringbone pattern face and a custom tig welded frame, powder coated bright red to match the legs on her desk.